As the threat of another cyclonic depression looms large over the State, the CM meets collectors from the coastal areas. 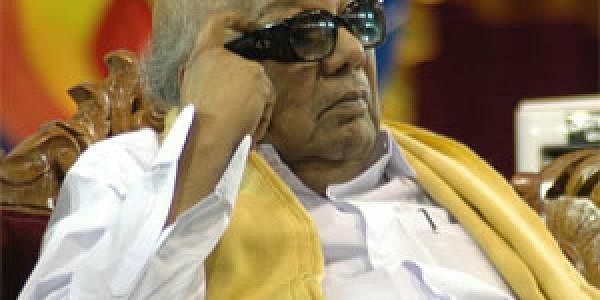 CHENNAI: As the threat of another cyclonic depression looms large over the State, Chief Minister M Karunanidhi on Saturday advanced the date of meeting with the Collectors of 12 districts, affected by the recent floods. The meeting, originally scheduled for December 8, will be held on Sunday. Precautionary measures to be taken to manage the new cyclonic depression will be formulated at the meeting. The new cyclone is likely to bring heavy rains to the already battered coastal districts. Taking no chances, the Chief Minister on Saturday held detailed discussions with the senior Ministers and officials at the Secretariat. He reviewed the progress of relief works in rain-affected areas. During the meeting, Chief Secretary K S Sripathi conveyed that the Centre had issued a Government Order (GO) on sending an experts team to Tamil Nadu to visit rain-affected areas. The team would be reach here within a few days, he said. Local Administration Minister M K Stalin chaired the meeting of the Cabinet Sub-Comittee on relief works. Officials conveyed that the death toll in the rains has reached 189. As per the revised estimates, the State Government has sought Rs 1,893 crore for temporary restoration from the Centre. SQUALLY WEATHER: The weather in coastal Nagapattinam district turned squally on Saturday, heralding a new cyclone. All day long, the sun remained invisible and the weather chill, with bouts of drizzle. According to sources, the fresh cyclone is expected to cross Tamil Nadu coast between Nagapattinam and Tuticorin on December 8. This has made the people anxious.